Description of genes involved in sugarcane root cell separation could lead to the development of varieties with softened cell walls similar to those of papaya, boosting the production of second-generation etanol. “Aerenchyma is very common in crops grown in flooded fields, such as rice, since it supports them or enables them to float in water while also allowing the submerged parts of the plant to breathe in oxygen and breathe out carbon gas,” said Marcos Buckeridge, a professor in the University of São Paulo’s Bioscience Institute (IB-USP) in Brazil. 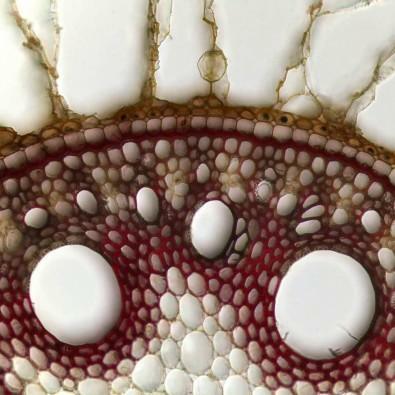 In recent years, Buckeridge and collaborators have focused on studying the genes involved in sugarcane root cell separation with the aim of developing transgenic varieties of sugarcane in which the process occurs in other parts of the plant, such as the stem, where biomass and sucrose accumulate. The cell walls in these varieties would be as soft as in a papaya – hence the nickname “papaya sugarcane” – and could more easily be degraded to produce second-generation bioethanol (obtained from biomass) on a large scale. Researchers affiliated with Brazil’s National Institute of Science and Technology of Bioethanol (INCT Bioethanol, one of several such research centers supported by São Paulo Research Foundation – FAPESP in São Paulo State in partnership with the National Council for Scientific and Technological Development (CNPq), have now taken an important step in this direction. Partnering with colleagues from other universities and research institutions in Brazil and abroad, they described the first gene sequences involved in sugarcane root cell separation and elucidated their functions in this process. The results of the study were published, in the Journal of Experimental Botany. “If we succeed in promoting cell wall separation in the sugarcane stem, it will be possible not only to reduce the amount of enzyme cocktails used for enzymatic hydrolysis [degradation of the carbohydrates in sugarcane trash and bagasse and their conversion into fermentable sugar] to obtain second-generation ethanol but also to increase sucrose extraction,” Buckeridge, principal investigator for INCT Bioethanol, told. “Tobacco is easy to transform genetically and serves as a model to demonstrate how mechanisms like this actually work,” Buckeridge said. “Our findings pave the way for using biotechnology for the genetic manipulation of sugarcane to boost the production of second-generation ethanol,” Buckeridge said. “In this genetically transformed variety, we’re starting to see what seems to be a softening of the sugarcane cell wall, similar to the effect we want. The stems of some of the plants, for example, are unable to stay erect. This could be the first step toward the development of papaya sugarcane,” Buckeridge said. A video showing a CT scan of sugarcane root aerenchyma formation can be observed at http://www.botany.one/2017/11/creative-destruction-death-leads-function.